Encouraging results from three pipeline combination therapies suggests Vertex could extend treatment to patients with more severe and difficult to treat cystic fibrosis. The trial data is hugely significant, as the new combinations could mean up to 90% of patients with CF could benefit from major improvements in their disease. Vertex’s shares rocketed up 24% on the news, and if approved, the new licences will secure the company’s future after a rocky few years. The Massachusetts-based biotech already has two drugs approved for cystic fibrosis, Orkambi (lumacaftor+ivacaftor) and Kalydeco (ivacaftor), which between them cover around half of the population affected by the rare, life-threatening genetic disease. Now the company is trying to develop other combinations to allow it to cover the entire disease population, as well as provide improvements on existing therapies. Results came from two phase 2 trials for VX-152, VX-440 and a phase 1 trial of VX-659. All three drugs were given as a triple combination with tezacaftor and ivacaftor. Vertex tested the combinations in cystic fibrosis patients who have one F508del mutation and one minimal function mutation (F508del/Min), and the company said these are the first data to demonstrate the underlying cause of disease in these patients. Data from the phase 2 studies show mean absolute improvements in percent predicted forced expiratory volume in one second (ppVEV1) of 9.7% and 12% percentage points from baseline for the triple combination regimens with VX-152 or VX-440 respectively. Early data from a phase 1 study show a mean absolute improvement in ppFEV1 of 9.6 percentage points for VX-659. 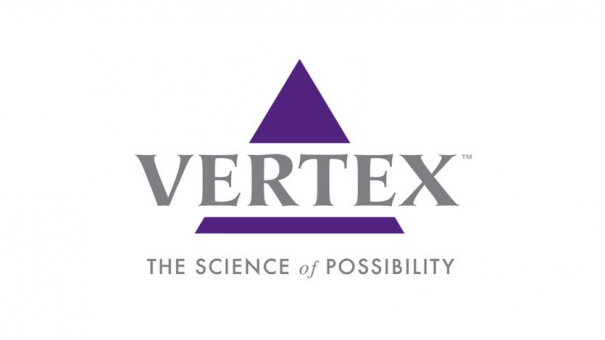 Vertex’s chief medical officer, Jeffrey Chodakewitz, described findings as “clear and compelling”, adding that the company will collect and evaluate data and decide which of the drugs to develop in pivotal trials, expected to begin in the first half of next year. CF is caused by a defective or missing CFTR protein resulting from mutations in the CFTR gene. Children must inherit two defective CFTR genes — one from each parent — to have CF. There are approximately 2,000 known mutations in the CFTR gene. Some of these mutations, which can be determined by a genetic test, lead to CF by creating non-working or too few CFTR proteins at the cell surface. No longer a takeover target? The company has only recently broken into profit, having invested heavily in its R&D and commercial operations while revenues were still modest. However now Vertex expects Orkambi to break through the $1 billion sales mark in 2017, and forecasts sales of up to $1.3 billion. The company’s uncertain status over the last few years has seen it frequently named among top targets for big pharma takeovers. The new results could be a green light for companies with money to spend and pipelines to replenish – Gilead being the most frequently cited – although Vertex’s share price surge makes it significantly more expensive to any would-be suitor.